In order to study the effect of decreasing plasma tryptophan levels on aggressive responding in a controlled laboratory setting, we administered two doses (25 g and 100 g) of a tryptophan-free amino acid mixture to ten healthy male subjects after 24 h of a low tryptophan diet. Subjects were screened for current or past psychiatric, or non-psychiatric medical illness. Aggressive responding on a free-operant laboratory measure of aggression (the Point Subtraction Aggression Paradigm) and plasma tryptophan levels were measured before and after drinking the amino acid mixture. There was a significant increase in aggressive responding 5 h after the 100 g mixture and a significant increase in aggressive responding 6 h after the 25 g mixture compared to a baseline day when no drink was administered. There was also a significant decrease in plasma tryptophan at 5 hours after ingestion compared to baseline for both doses of amino acid mixture. 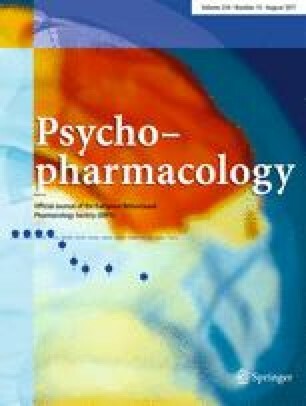 This study supports the hypothesis that tryptophan depletion increases aggressive responding in healthy males in a laboratory setting; probably by decreasing brain serotonin.